The Comsol Group provides software solutions for simulation and modeling of real world multiphysics systems. By using Comsol Multiphysics software modeling of almost any physics based system is possible. Main modules give the possibility to perform electric and magnetic field calculations, flow calculations, optics and photonics calculations and many more. Optek provides both local sales and technical support for Comsol users. In case you would want to have a trial version of Comsol Multiphysics or need some additional comments on the software capabilities, please, contact us at info[@]optek.lv. For more information visit www.comsol.com. We are pleased to invite you to the upcoming Comsol Multiphysics workshop. Please, follow this link to find out more. To get an insight into Gaussian software capabilities, please, see "White papers and technical notes". 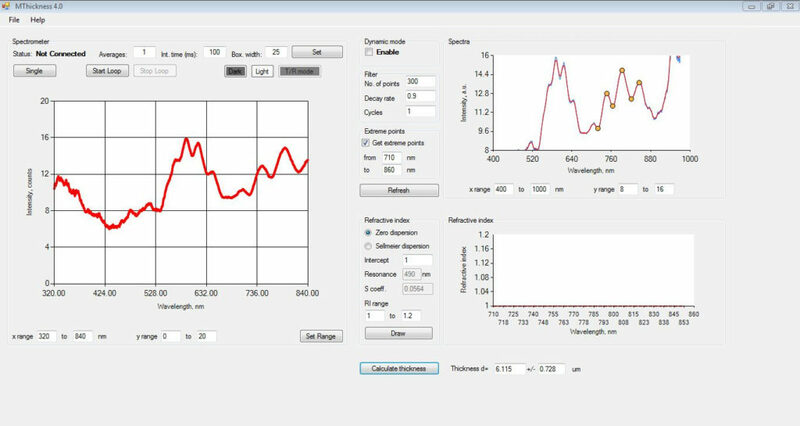 For non-contact thickness measurements of thin layers and films Optek has developed a special software - MThickness. The software comprises interference fringe separation technique in which the interference fringes of the reflected or transmitted spectra are analyzed for thickness measurement. The software can be used with any OceanOptics spectrometer if OmniDriver is installed. The OmniDriver is a free software package available at OceanOptics. 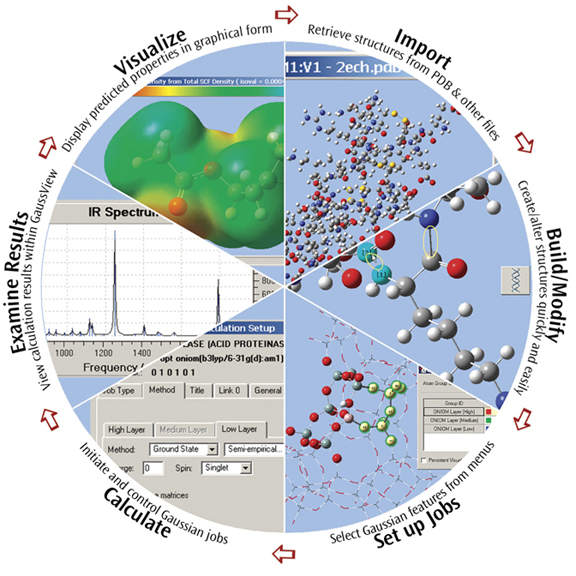 The software can also be used for processing any saved spectra using user defined recipes. The software and the necessary hardware can be obtained from Optek. Please, contact us at info[at]optek.lv for more information. 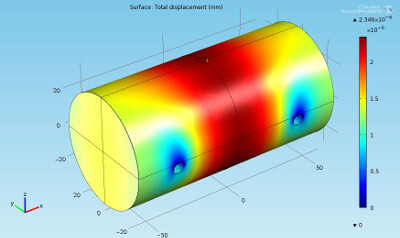 Screenshot of MThickness while measuring air gap thickness of around 6 um. HYPACK – A Xylem brand is a world leader in software development for the hydrographic and dredging industry since 1984. HYPACK software is one of the most widely used hydrographic software packages in the world, with more 10,000 users in over 140 countries. HYPACK commitment to the industry, and partnership with manufacturers, allow to provide a solution for all you surveying needs; from a simple area to the most complex project, HYPACK software solution can help with the project. HYPACK suite of software packages will provide you the tools needed to design your survey, collect your data, apply corrections to soundings, remove outliers and invalid points, plot field sheets, export data to CAD, compute volume quantities, generate contours, create side-scan mosaics and create/modify electronic charts. HYPACK hundreds of sensor inputs provide the connection for positioning – GPS and inertial systems, single beam and multibeam echosounders, sidescan and sub bottom sonars, magnetometers, velocity sensors, and more. HYPACK generic parser allows the user to create their own sensor input, allowing connections for nearly unlimited sensor input. HYPACK® provides the tools needed to complete your job for survey work with an echo sounder through a magnetometer. The HYSWEEP® software is multibeam module that provides for the calibration, data collection and data processing of multibeam sonar and laser scanner data. DREDGEPACK® is real-time dredge management system, designed to work with cutter suction, hopper, clamshell and excavator operations. In addition HYPACK offers software for office and vessel only usage. From Ferbuary, 2018 Optek is official representative of HYPACK – A Hylem brand in Latvia. For more information visit www.hypack.com or contact us at info@optek.lv.